Canada's worsening fentanyl crisis, political accountability vs. accounting in the U.S., and tiny talent time with Trump's granddaughter. Welcome to The National Today daily newsletter, which takes a closer look at what's happening around the day's most important stories. Sign up here under "Subscribe to The National's newsletter," and it will be delivered directly to your inbox Monday to Friday. According to the latest figures from Health Canada, 2,816 people died of "apparent opioid-related" causes across the country in 2016. Experts believe fentanyl — a synthetic opioid up to 100 times more potent than morphine — was involved in many of those fatalities, and that the drug has claimed many more lives since. Cheap and plentiful, fentanyl has become a fix-all for dealers who mix it into drugs like heroin to stretch their supplies and increase the bang for addicts' bucks. Here's some exclusive new data obtained by CBC News that illustrates the scope of the problem. The figures have been compiled by Health Canada's Drug Analysis Service (DAS), which tests the approximately 120,000 samples of drugs seized by the Canada Border Services Agency, the Correctional Service of Canada and police forces across the country each year. Overall, the numbers are stark. In 2012, just 217 of the street drug samplestested positive for fentanyl. 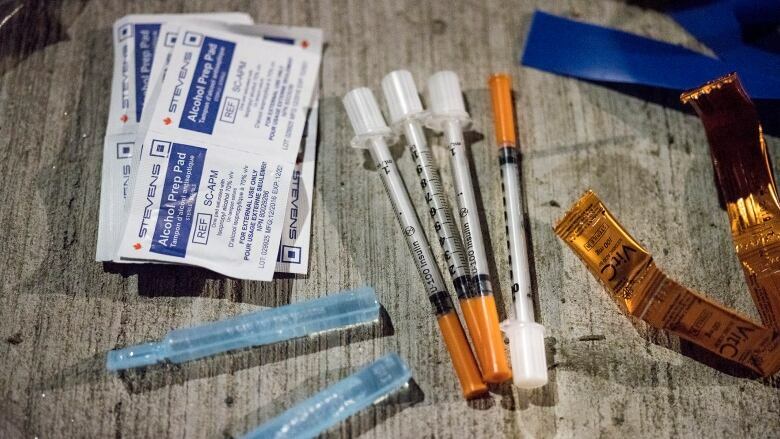 Deaths attributed to the deadly opioid have skyrocketed since then, and the number of times fentanyl has showed up in samples of illegal street drugs has increased dramatically. As of Sept. 30, DAS had found fentanyl in 4,568 samples this year—an increase of 2,005 per cent. 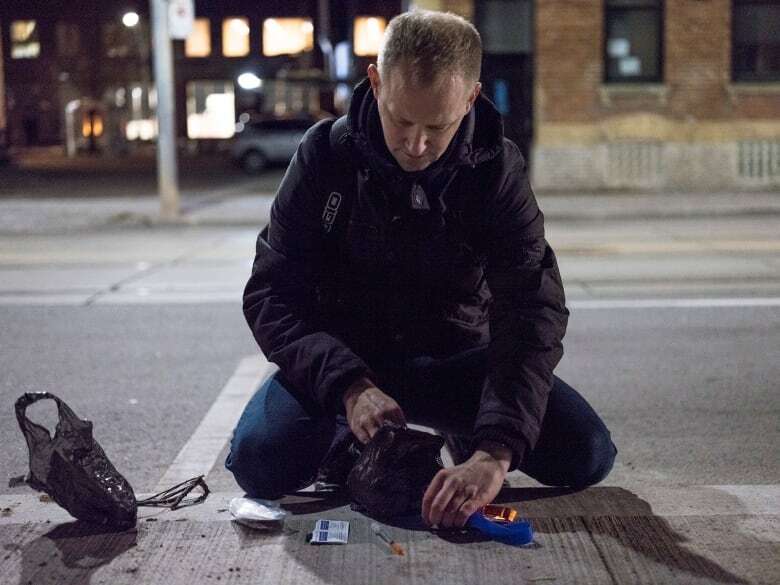 Five years ago, less than one per cent of the 2,337 heroin samples tested by the Health Canada's Drug Analysis Service (DAS) contained fentanyl and/or its analogues. In 2016, that number grew to 39.4 per cent of 3,658 samples. 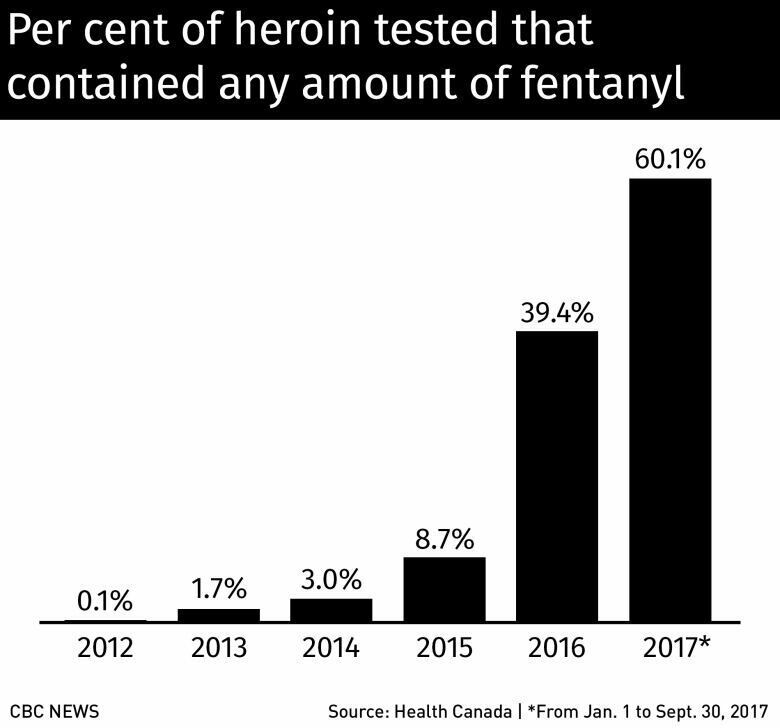 For the first nine months of 2017, 60.1 per cent of the 3,000-plus heroin samples tested were positive for fentanyl. 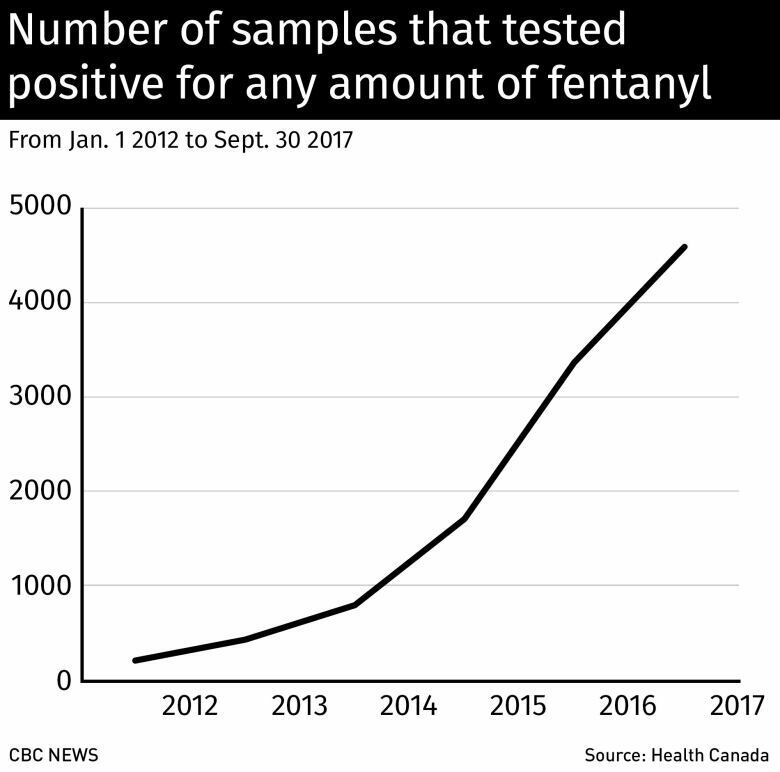 Fentanyl was not identified in any of the marijuana samples tested over the five-year period, while cocaine and methamphetamine saw moderate increases from 0.01 per cent to 1.8 per cent and 0.03 per cent to 1.7 per cent respectively. There comes a point in some stories — no matter how important — where a sameness sets in. I've heard that from a lot of people about fentanyl. You've seen the video from Vancouver's Downtown Eastside. You know a lot of people are dying. But there was something about this story I couldn't figure out. Why is the number of deaths soaring in a province where so much has been done to turn things around? There's a bus ad outside my son's former high school, promoting the overdose antidote naloxone. Twenty years ago that would have probably touched off a controversy ("just say no!"). Now, everyone seems to realize we just need to stop the deaths. So I started digging into this story. 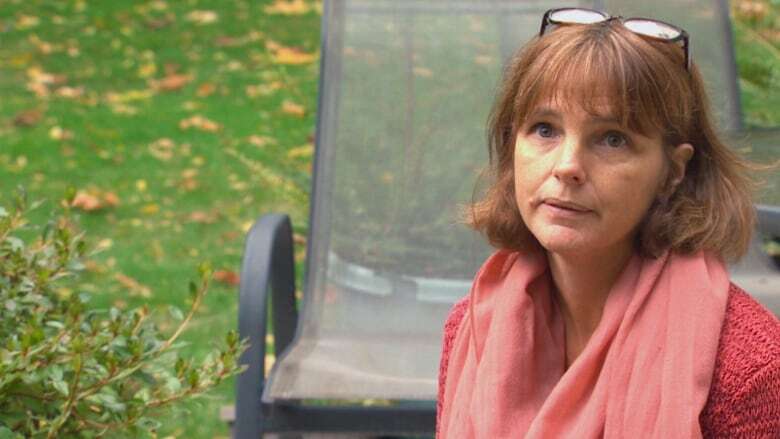 BC's Chief Coroner Lisa Lapointe told me if it weren't for the measures in place in her province (multiple supervised injection sites, wide distribution of naloxone), the death toll would be tripled. And I met Kathy Wagner of New Westminster. She is remarkable. For the past five years, she's done everything she could to try to save the life of her son, Tristan Koeker, as he suffered with an addiction to cocaine. Two and a half months ago, Tristan died. He was just 21. The cocaine he took was contaminated with fentanyl. Kathy and some of her friends wanted me to know addiction can happen to anyone, in any family. And drug addiction in the age of fentanyl means risking death with every hit. She also says it's time to stop treating this like old news. Perhaps this will grab your attention: She and her friends, also mothers of addicted adult sons, say the one way to save hundreds of lives is to take fentanyl-laced drugs out of the hands of addicts. The sure way of doing that, they say, is for the government to regulate and inspect heroin, cocaine and methamphetamine. I know, many of you are shaking your heads. Is Canada really ready for that? Kathy Wagner says until we are, thousands more people will die. 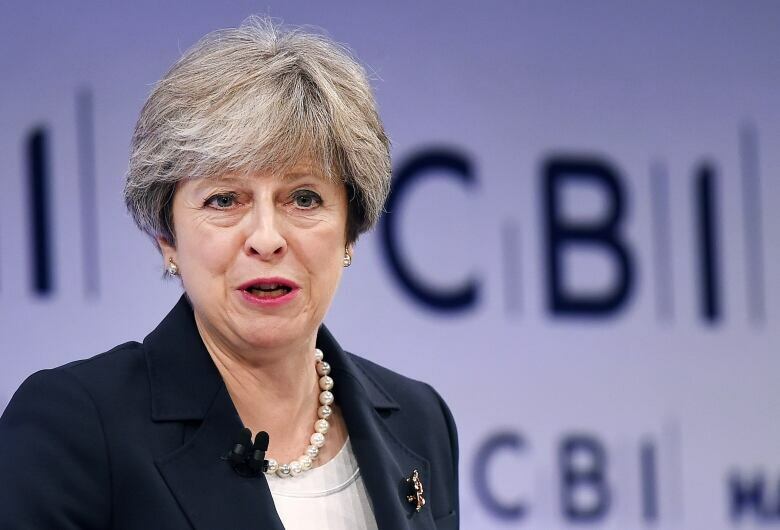 British Prime Minister Theresa May has now lost two cabinet ministers in the space of a week. 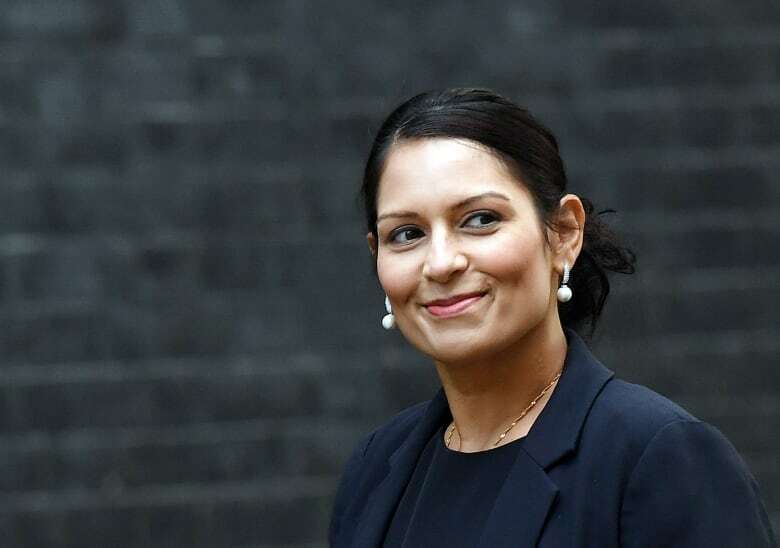 Yesterday, it was Priti Patel, the Secretary of State for International Development who submitted her resignation letter, offering profuse apologies for becoming "a distraction." Patel's offence was to overstep both her brief, and the rules of diplomacy. During a recent vacation to Israel, Patel met with 12 government officials — including Prime Minister Benjamin Netanyahu — in 12 days, but somehow forgot to tell anyone back home. 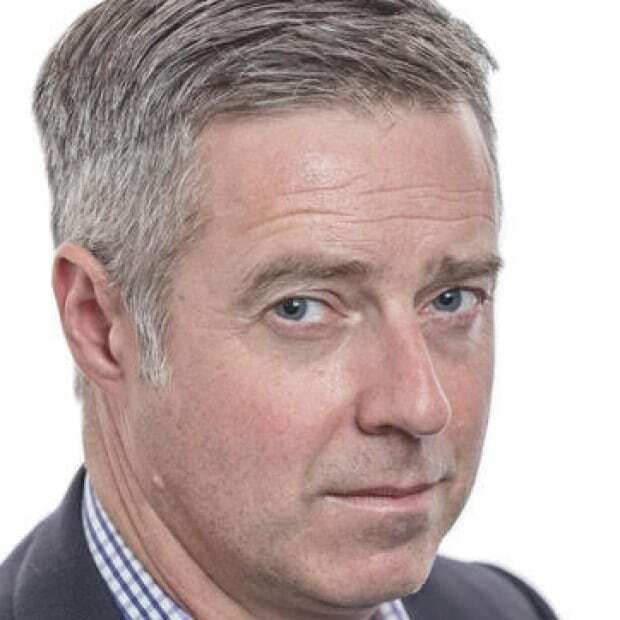 On Nov. 1, May lost her defence secretary, Michael Fallon, to the spreading, global sexual harassment scandal. The ostensible reason was the time he placed a hand on a reporter's knee at a dinner party 15 years ago. But it has since emerged that there was a pattern of behaviour, and the Prime Minister had heard enough. It's an interesting contrast to what has — or more accurately hasn't — been happening in Washington this week. 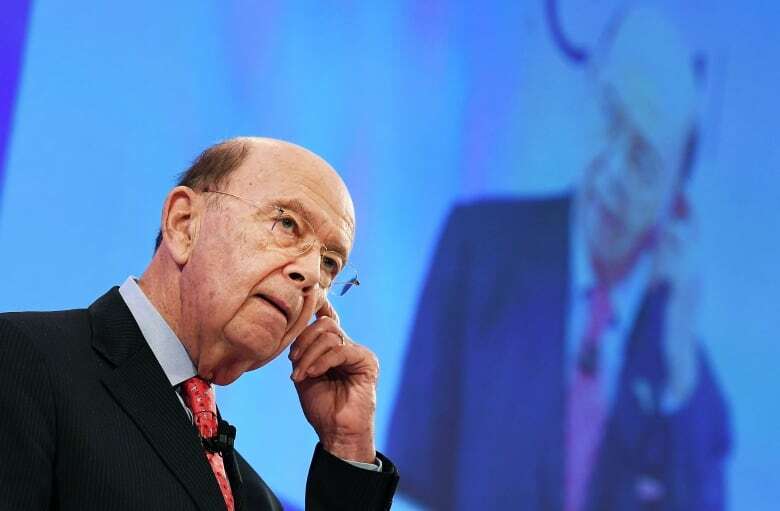 One the many revelations in the offshore tax-haven Paradise Papers was that Wilbur Ross, Donald Trump's longtime friend and now commerce secretary, is in business with Vladimir Putin's son-in-law. And not in a blind trust, but actively, with both having an interest in the same Russian shipping company. Ross says there isnothing improper about his investments, while Trump hasn't commented at all. Meanwhile, the U.S. media seems more interested in Forbes' decision to drop the commerce secretary from its annual ranking of America's 400 richest people. A year ago, the magazine listed Ross's net worth at $2.9 billion US. But now, after reviewing his government financial disclosure forms, they say the actual figure is $700 million. Does that count as a victory of accounting over accountability? But perhaps things are about to change for the Trump administration. A number of people on the web have been keeping a list of all the sealed indictments in U.S. District Court in Washington — 31 of them at last count. It's fuelling speculation that Robert Mueller's probe of Russian interference in last November's election might be about to break big. Donald Trump's Asia tour has actually produced relatively little news so far — which, after a year of him dominating the headlines, is either welcome or disconcerting. One reason is that White House staffers appear to have taken control of his Twitter account. All posts since Tuesday have been slick, on-message photos and clips of his daily activities. But if you are missing the unpredictability, there was a special — and rather odd — surprise at today's State Dinner with Chinese President Xi Jinping. 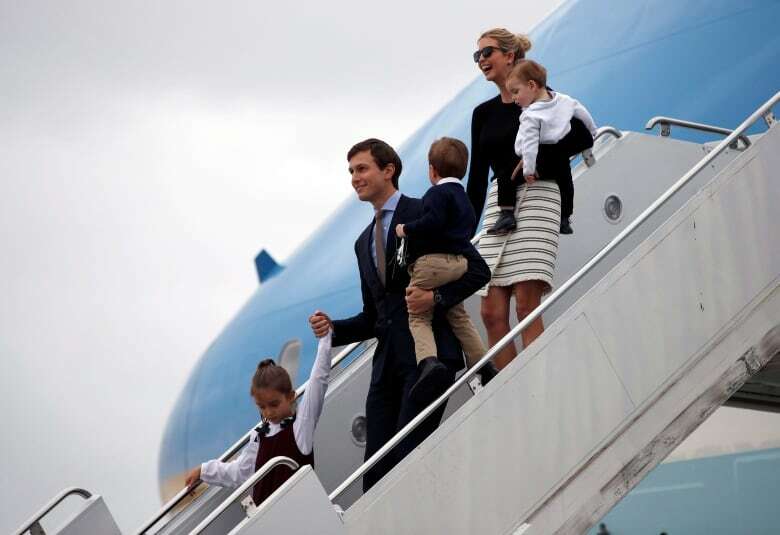 After giving a toast, the U.S. President introduced a video of his granddaughter Arabella — Ivanka and Jared's six-year-old — singing a song in Mandarin. Arabella's talents are actually becoming a bit of a theme in U.S.-Chinese relations: She performed live for Xi and his wife Peng Liyuan when they visited Trump in Mar-a-Lago, Fla., in April. And Trump whipped out an iPad shortly after arriving in Beijing yesterday to show off another video of her reciting poetry. "Small-market daily newspapers are finding it especially difficult in the new reality." - Roger Holmes, president of Star News Publishing, burying the lede about his decision to close down the Moose Jaw Times-Herald next month, after 128 years. "I detest audiences," he says. "I think they are a force of evil." Forbes List: Wilbur Ross, Jr.